The sculpture combines a head, with ‘fountain’ hair, topping a monumental structure cast in bronze, 5m high. Nine 25cm square, glass ‘windows’ are set in two curved rows down the front elevation of the sculpture's architectural/figurative form. 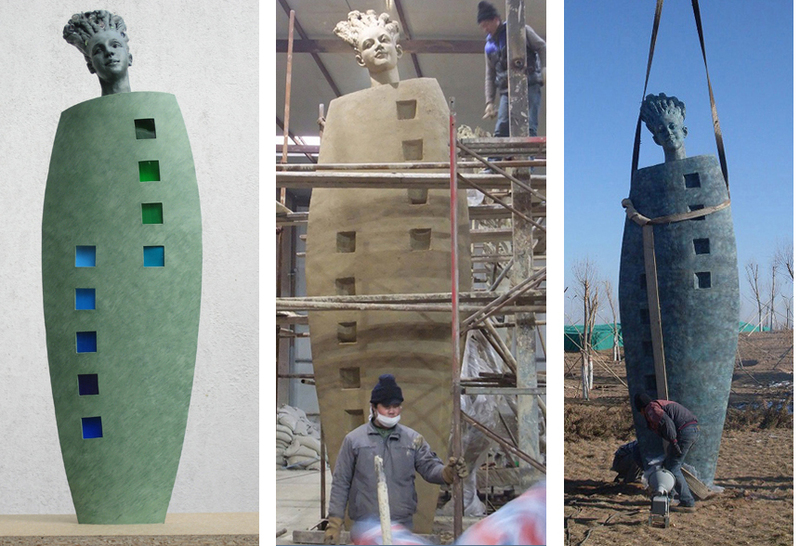 Fountainhead was fabricated in the Beijing YiDongYuan Sculpture Centre to our detailed design. The design was from a proposal that we first made for Belfast see here. Maquette photograph is by Phil Bews, the other images were taken by Mr. Mao's staff and organizers in Ordos.